Out NOW on Razorback Records! 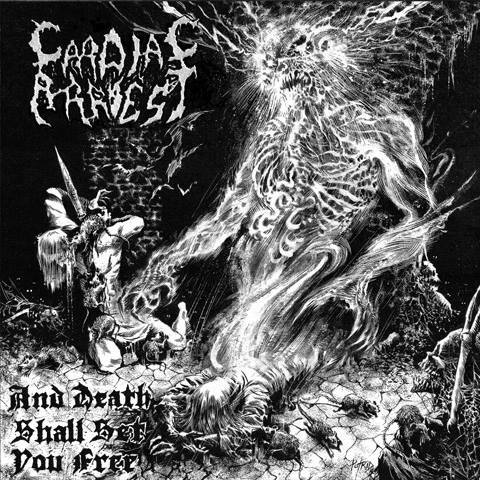 Their fifth and most foul album to date, CARDIAC ARREST brings you “And Death Shall Set You Free”! Formed deep in the black infamy-choked bowels of Chicago in the late ‘90s, CARDIAC ARREST has been a known associate of Razorback’s for years and, while the two camps had bonded over their shared obsessions with all things horror and metal, they never worked together – until now! Releasing their four previous albums elsewhere, the fearsome foursome of Midwest metal maniacs continue their legacy of death metal brutality with “And Death Shall Set You Free” and the 10 cruel scythe cuts of horror-weltered cacoffiny offered therein, with such aural atrocities as “There Is No Escape,” “Bridge Burner,” and “Rise! Part Man, Part Beast.” While the new album is their catchiest yet, it is still as unforgivingly heavy as a sledgehammer to the skull. You have been warned! As those abominable gore-adorers who are CARDIAC ARREST always proclaim … ROT FOREVER! CEMETERY URN are a study in staunch self-reliance. Their first two albums were released on Gillon's own label, Cemetery Recordings, and the band self-booked two highly successful tours across the United States: the Blood of the Damned U.S. Tour in June 2008, which encompassed 17 shows alongside Angelcorpse and Gospel of the Horns, and the Western U.S. Torment Tour in October 2010, where they headlined 10 shows through Texas, California, Oregon, and Washington State. Now, armed with the support of HELLS HEADBANGERS, CEMETERY URN are prepared to unleash their most decisive and devastating attack yet in Cemetery Urn. A ten-track nuclear warhead, CEMETERY URN's third album takes the unremitting savagery of their first two full-lengths to its furthest extreme yet, exhibiting both power and poise in the middle of an incendiary maelstrom, and further solidifying the band's reputation for upholding Australia's rich tradition of extreme metal barbarity. Out now on Razorback Recordings! Years before the Japanese band of the same name had formed, there was CHURCH OF MISERY from Illinois/USA, the doom metal band started by Stevo of the legendary horror Death Metal band, IMPETIGO! 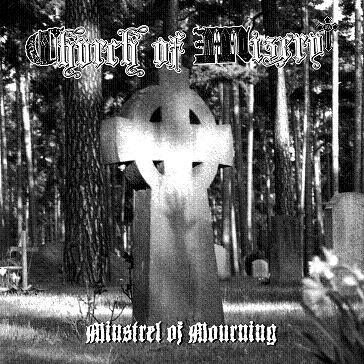 In 1993, the band recorded their debut album, "Minstrel of Mourning", but it was never released... until now! Here is the holy grail of Doom Metal albums finally available for the first time ever! This amazing album was rescued from an obscure DAT tape and can now be finally heard after all these years. Features liner notes from the band, old photos, and more... this is an essential album that was way before its time! 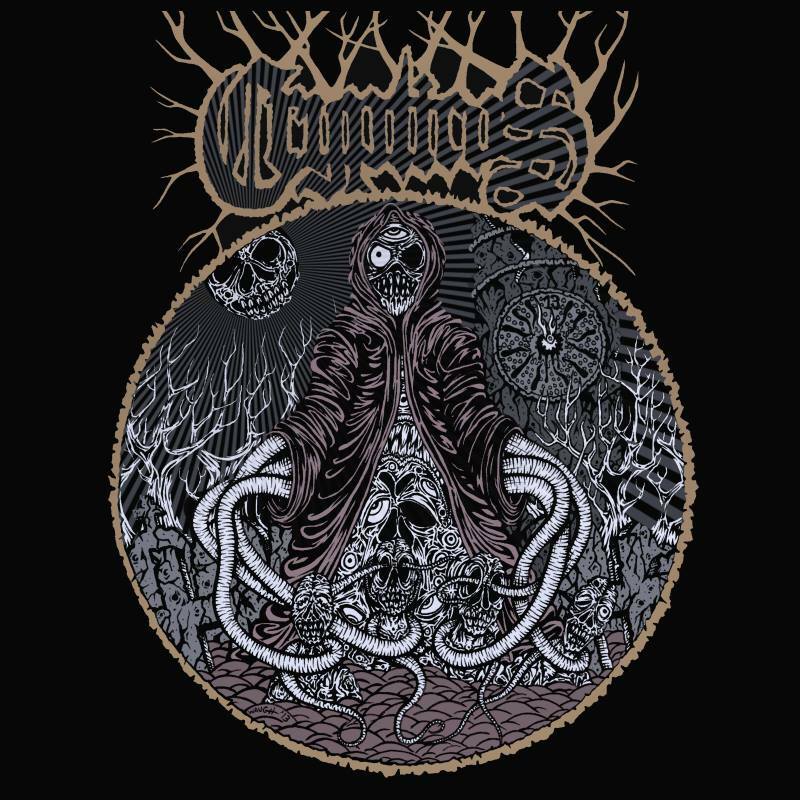 killer oldschool Death Metal from Australia featuring a member from Nocturnal Graves! HELLS HEADBANGERS is proud to present CRUCIFIED MORTALS' highly anticipated second album, Psalms of the Dead Choir. One of the best-kept secrets of the long-fertile Cleveland metal scene, CRUCIFIED MORTALS have been quiet-yet-prolifically perfecting their craft since 2001. Under the steely resolve of founder/mastermind Reaper, a handful of demos and splits culminated in CRUCIFIED MORTALS' critically acclaimed debut album. Released in 2011 and simply self-titled, this debut album largely introduced the band to the wider, international metal scene, proving that they're one of the hungriest and charismatic deathrashing metal bands around. But as much as Crucified Mortals was a highlight for the band, a decade after its formation, it will now be eclipsed by Psalms of the Dead Choir. In many ways, Psalms of the Dead Choir is both a consolidation of CRUCIFIED MORTALS' considerable strengths and a fresh new start for the band. Whereas Crucified Mortals featured a then-full lineup, here on Psalms of the Dead Choir, Reaper handles all vocals, guitars, and bass and is once again joined by Ash Thomas (SHED THE SKIN, VLADIMIRS, Faithxtractor) on drums, who's manned the CRUCIFIED MORTALS skins for the last five years. Together, they explode forth with the trademark deathrash for which the band's built a steady name in the metal underground. Immediately memorable but never relying on rote verse/chorus formula, there's a narrative flow to CRUCIFIED MORTALS that's heightened by Reaper's fierce and clearly enunciated vocals, telling twisted tales of macabre horror and fiendish deeds - and compelling instant headbanging. And yet, for however feverish the attack may be across these Psalms, there's a newfound sense of nuance and dynamics, largely spurred on by the dramatically twisted guest guitar solos of Sauron's Lore Lord. As a whole unit, CRUCIFIED MORTALS breathe new life into thrash-intensive death metal (or death-intensive thrash?) that hasn't sounded this vital since classic Deceased or even the early days of Carnivore, Rigor Mortis, and Hobbs' Angel of Death. Read these Psalms of the Dead Choir and weep! A statement from Reaper reads: "Starting with darker imagery - for this genre - we put a lot of focus on doing unique and/or fresh ideas with Psalms of the Dead Choir, from different guitar amps on virtually every song, numerous vocal effects to establish a different surrounding, to deeper meanings behind otherwise straightforward lyrics. There's a lot to analyze for the in-depth listener, but it is straightforward and ripping for those looking to jam out." Original pressing on Razorback Records from 2008! The 2nd album from this amazing horror death metal band from the twisted mind of Patrick Bruss! We have a very limited amount of these left so get it now at a very low price! Out now on Razorback Recordings! The long awaited 3rd album from the mighty CRYPTICUS is finally here! 12 new songs of eerie, catchy, and horrific Death Metal the way only CRYPTICUS delivers! Intense riffing in the classic Death Metal style mixed with progressive horror synth music that is both original and heavy at the same time. Mastermind Patrick Bruss has crafted a masterpiece of the macabre, and you are all invited to join in on the madness! Included is a CD only bonus track titled “The Breathing Tunnel” that is not available on any other version of the album!